Born in Australia, Angus Wood moved to London at an early age. He was awarded a singing scholarship by the Royal College of Music, after which he returned to Australia, completing a Bachelor of Music degree with Honours in vocal performance, at the University of Melbourne. In 1993 Angus was invited to the ‘National Vocal Symposium’, under the tutelage of Ms Malana Malas, Dame Joan Sutherland and Luigi Alva. He has been a member of the Victorian State Opera Young Artists’ Program and the Australian Opera’s Young Artist’s Development Program. Angus was the recipient of the inaugural Silvia Fisher Award and the 2001 Sir Robert Askin Operatic Travelling Scholarship. He subsequently relocated to the United States where he completed his Master of Music at the University of Michigan, Ann Arbor, after which he returned to Australia. Since his first engagement with the Victorian State Opera as Giuseppe and Messaggero in a Regional Tour production of La traviata, Angus went on to perform the Customs Guard in La boheme, Fiorello in The Barber of Seville, and Herald in Otello. His debut for Opera Australia was as Antionio in The Gondoliers, after which he performed numerous baritone roles including the Imperial Commissioner and Yamadori in Madama Butterfly, Greek Captain in Les Troyen, Papageno in The Magic Flute (also for OzOpera), Messaggero in La traviata, Figaro and Fiorello in The Barbar of Seville, Morales in Carmen, Schaunard in La boheme, Sid in Albert Herring, Arlecchino in Ariadne auf Naxos, Albert in Werther, Haly in L’italiana in Algeri, Liberto in L’incoranazione di Poppea, Mercutio in Romeo et Juliette, Giuseppe in The Gondoliers and Olivier in Capriccio. In recent years he has developed his tenor voice, which has enabled him to perform roles with a higher tessitura to much critical acclaim. These include Pelleas in Pelleas et Melisande and Boni in The Gypsy Princess for Opera Australia. He has since gone on to perform Anthony Hope in Sweeney Todd for the State Opera of South Australia, Jupiter in Pinchgut Opera’s Semele and Cassio in Harry Kupfer’s new production of Otello for Opera Australia’s 2003 Winter season. Angus’ concert engagements include New Year’s concerts with the Australian Pops and Australian Philharmonic Orchestras, Vaughan William’s Fantasia with the National Boys Choir in the Melbourne Concert Hall and Faure’s Requiem with Sydney Philharmonia. Angus also regularly performs in recital, including performances at Government House (Sydney Festival) and the Art Gallery of NSW, as well as a series of concerts for the Melbourne Federation Festival. 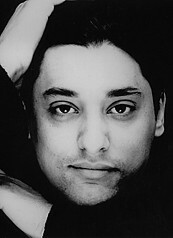 His portrayal of Boni in The Gypsy Princess for Opera Australia in 2001 was recognised with nominations as Best Male Singer in a Principal Role at the 2001 Green Room Awards and Best Male Performer in an Opera at the 2002 Helpmann Awards. His performance in Madama Butterfly for the Opera Australia is available on video, and a live recording of Pinchgut Opera’s Semele was released on CD by ABC Classics in 2003. He has recently performed his first Alfredo in La traviata for Canterbury Opera, New Zealand, the Armed Man and Priest in The Magic Flute for Michigan Opera and Aeneas in Dido and Aeneas and the narrator in Il Combattimento di Tancredi e Clorinda (with a nomination for a Green Room Award for the narrator) for Opera Australia, in both Sydney and Melbourne. Angus also performed in Opera Under the Stars in Broome and for the Aussie Pops 2004 New Years’ Eve Galas in Melbourne and Sydney. Angus’ performances in 2005 include Eisenstein in Die Fledermaus for Opera Australia, a series of Haendel concerts for the Australian Brandenburg Orchestra, Cavaradossi in Tosca for Canterbury Opera and Opera in The Vineyards. In July 2006 he perfomed another outstanding tenor role as Edgardo in Lucia di Lammermoor at the Canterbury Opera and also started his one-year-employment in August at the Hessisches Staatstheater in Wiesbaden, as a part of the first prize of the MTO.